This year’s winning ideas help teachers create engaging class projects, match students and employers, and give educators in Africa access to digital tools. 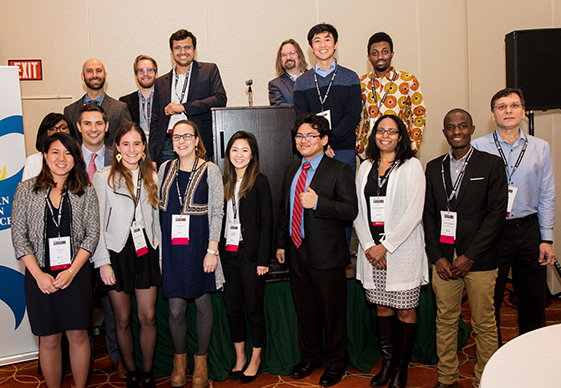 PHILADELPHIA, PA, DECEMBER 5, 2017 — The University of Pennsylvania’s Graduate School of Education (Penn GSE) and the Milken Family Foundation have announced the winners of the Milken-Penn GSE Education Business Plan Competition (EBPC) Idea Path. This year’s winning ideas help teachers create engaging class projects, match students and employers, and give educators in Africa access to digital tools. The EBPC is the most prestigious and well-funded education business plan competition. It has earned its reputation by attracting innovative ideas from around the world and spotting winning education innovations early on in their growth. The Idea Path, presented as part of the Reimagine Education Conference, is for entrepreneurs that are very early in ideation and development. This year, 12 finalists were chosen from more than 350 entrants from more than 17 countries. Each of the finalists received $1,000. Sidekick, from Evanston, Illinois, won the $5,000 Milken Family Foundation grand prize. Sidekick turns real problems that partner companies are trying to solve into engaging project-based learning lessons for teachers. Sidekick uses machine learning to help teachers customize these projects and align them with standards and curriculum. HUNT Advisory, from Tallahassee, Florida, won the $2,500 ACT Prize. HUNT is a talent search consulting service and online platform that connects high school students with employers to close the skills gap and reduce student debt. Lumen Labs of Kenya won the $2,500 American Public University System Prize. Lumen gives educators digital tools so that students can collect data about their communities. That data will serve as the foundation for problem-based learning projects, and can be sold to companies and nonprofits working in these communities. The EBPC Venture Path—for start-ups that already have revenues, grants, customers, or investments—will begin accepting applications in January for a competition in May. The EBPC is made possible through the generous support of the Milken Family Foundation, ACT, American Public University System, ChanceLight Behavioral Health and Education, iTutorGroup, and McGraw-Hill Education. For further information about Penn GSE, please visit www.gse.upenn.edu. Find more on http://www.educationcompetition.org or follow the conversation on Twitter: @GSE_innovates and #MilkenPennGSE.